Computer-assisted imaging with radiation (x- and gamma rays) is an integral part of modern medical-diagnostic practice. This imaging technology is also slowly finding its way into industrial applications. Although the technology is well developed, there is a need for further improvement to enhance image quality, reduce artifacts, minimize patient radiation exposure, compete with and complement other imaging methods (such as magnetic resonance imaging and ultrasonics), and accommodate dense and large objects encountered in industrial applications. Scientists and engineers, attempting to progress this technology, are faced with an enormous amount of literature, addressing the imaging problem from various view points. 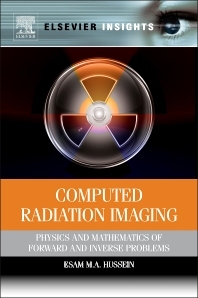 This book provides a single source that addresses both the physical and mathematical aspects of the imaging problem in a consistent and comprehensive manner.